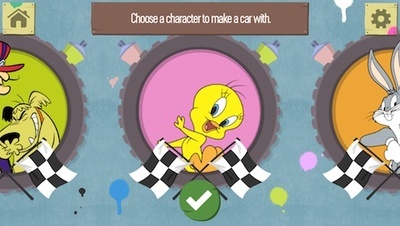 Build a soapbox racer for some of the world's best cartoon characters, and race them on different tracks. Boomerang is a children's television channel that focusses on broadcasting classic cartoons by the likes of Warner Brothers and Hanna Barbera. 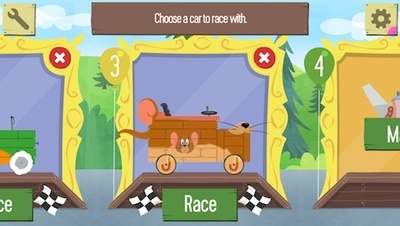 Their free mobile came Boomerang Make & Race features some of the most popular characters from these franchises, including The Looney Tunes's Bugs Bunny and Wacky Racers's Penelope Pitstop. In keeping with the classic/retro theme, the developers opted to go for simple flat graphics, which are are a combination of 1D and 2D. This makes the landscapes look like they are drawn on paper, giving the game a unique clean feel. 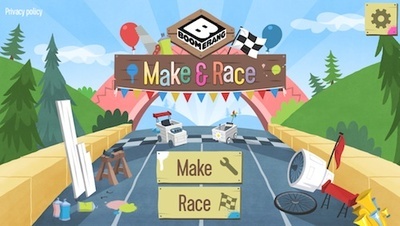 There are two elements to Boomerang Make & Race. As the title suggests, first you have to build your soapbox racer, and then you race it on a choice of three different tracks. 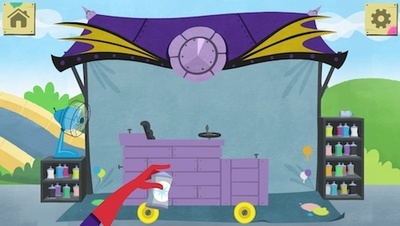 Each character has their own accessories to customise their vehicle with, such as spray paint, stickers, and wheels. 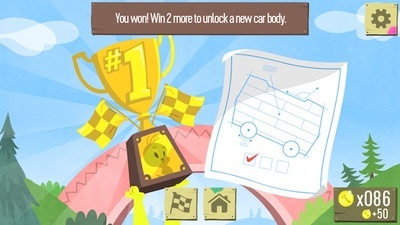 At first your choices are limited, but each time you win a race, you get closer to unlocking a new vehicle. Each track also has coins to collect, which you can spend in the shop to buy new accessories. The one problem I have with the building section of the game is that there is no undo button. This can be annoying if you make a mistake while spray painting, because you then have to paint over everything with a new base colour and start again. 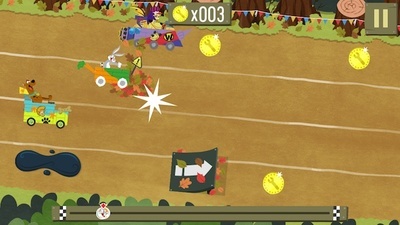 The second element of the game is the race itself. 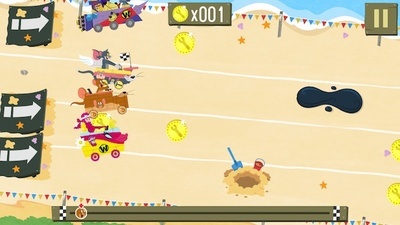 As well as coins, there are also beach balls on the track, which give you a speed boost, and ramps to send you flying. However, you have to look out for obstacles that slow you down, such as tar and leaves. Although initially fun, I found the game far too easy; even the 'hard' level proved no challenge. With only three tracks, playing also becomes repetitive. 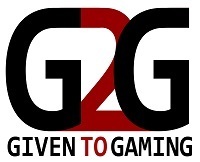 As a game for a five year old, it is going to be quite entertaining, but anyone over the age of ten will quickly get bored back the lack of challenge and variety. Best form of renewable energy?